This story originally aired on February 6, 2019. Greyhound racing’s 71-year run in Pensacola has ended, well ahead of the voter-mandated deadline 22 months from now. 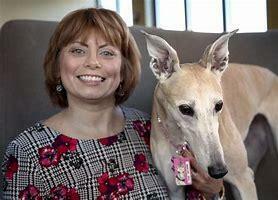 In November, almost seven in ten voters statewide approved Amendment 13 – which bans live greyhound racing in Florida. Sixty-five percent of voters in Escambia County supported the amendment, which sprang from the Constitutional Revision Commission that met last year. The bill’s sponsor was former state Senate President Tom Lee. Pari-mutuel wagering in Florida — dog and horse racing, along with Jai Alai — has seen a steady decrease in both revenue and attendance. According to the Division of Pari-Mutuel Wagering, betting declined 47 percent over the past decade, with total state revenues down 57 percent. But it wasn’t just about the money – at the core of the amendment was the treatment of the dogs. Lee’s figures are from April, 2018. Christine Dorchak, President and CEO of Grey2K USA. 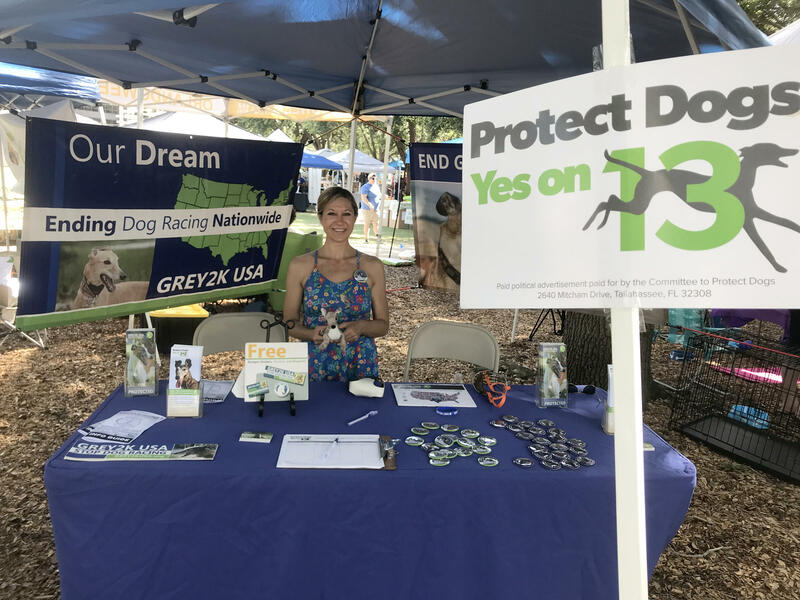 “Thankfully the voters – who have been basically voting with their feet for years – they got to go to the ballot and vote with their hearts and their minds,” said Christine Dorchak, President and CEO of the greyhound rescue organization Grey2K USA. Racing could have continued at Pensacola Greyhound Track until December 31, 2020. The track's fall greyhound racing season ended September 30, and racing was scheduled to resume last month, but didn’t. And Pensacola wasn’t the only one to pull the plug. All of the greyhounds that raced at the Pensacola track are said to be "in good care.” A local greyhound adoption agency previously estimated around 300 Pensacola dogs would need permanent homes. One of many volunteer tables set up for Amendment 13 during the 2018 campaign. Grey2K USA’s Christine Dorchak says the tracks are now in the position to make the right economic decisions for their futures. Meanwhile, the firm PCI Gaming will continue at a separate Pensacola-area facility with live simulcast horse racing and poker -- which are still allowed at the state’s 12 dog tracks. But in Pensacola, the fake rabbit used to lure the dogs down the track -- has gone the way of the Model-T and the Navy Hellcat.